Cost of Psychic Readings: How Much Should You Expect To Pay? You usually seek the guidance and expertise of a psychic when you are going through a period of uncertainty. The last thing you need is even more uncertainty trying to figure out the cost of psychic services. When searching the cost of a psychic on Google, you will see a crazy variance in cost. Prices can range from $15, $30, $100, to upwards of $1,000 dollars. This is a craft where the prices vary greatly depending on the type of reading and experience of the psychic. Just like any other trade, psychics take their work seriously. They’re right to expect compensation for their skill. It is just like how you would expect to pay more for a more experienced surgeon, hairdresser, or serviceman. 1 How Much Should You Pay? 2 What Kind of Service are You Looking for? First, you need to consider how serious you are about your psychic reading. If you are looking for some serious life guidance and spiritual awakening, you are going to want to do some research. Don’t just pick the cheapest option. On the other hand, if you are just doing this for fun, there are plenty of lower budget options. If you are looking for someone to analyze your entire life, your personal behavior, or connect with a deceased loved one, you are going to want to pay more than if you are looking for a little guidance on whether or not you should ask someone out on a date. Consider the amount of time and energy your reading will take. Beginning readers sometimes offer free readings. This is so that they can practice and refine their trade before they feel comfortable charging money. They gradually increase their prices over time to correlate with their skill level. Also, people who do a physic reading on the side, as opposed to their sole source of income, charge less than full-time psychics. The moderate price range for a trustworthy psychic reading is around $25-$60 an hour. Usually, the increase in hourly rate is based on years of experience. 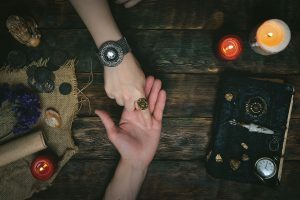 Psychics also raise their prices as they become better known and build their reputation, regardless of experience. Often, it is better to look at reviews and references over years of experience alone. Top psychics charge upwards of $200 dollars an hour for psychic readings. These are people who have built followings and a reputation for consistent, spot-on readings. You can definitely still get a good, reliable reading below this price point. Some celebrity psychics charge in the upper hundreds for a private reading. Psychics with this sort of status usually go on tour in front of large audiences, which is a more affordable alternative to a private reading. Some forms of psychic readings take years of studying and experience to master the craft. The higher the skill required, the higher the cost. A tarot deck consists of 78 cards, each with their own unique imagery and symbolism. The cards represent spiritual lessons or trials and tribulations we may face. Tarot readers must spend a lot of time becoming familiar with their cards and different tarot spreads. Tarot readings can vary in price based on what sort of spread you request. Some tarot readers charge based on an hourly fee. Others vary cost based on the type of tarot spread. Astrology readings are notoriously more expensive than other types of psychic related services. It takes astrologers years of experience to learn how to read an astrological chart and give intuitive readings. There are plenty of online sites that will tell you your sign and give a general description. But an astrologer can give you a personal in-depth reading tailored specifically to you. An astrological birth chart reading can cost anywhere from $100-$300 dollars. Palm reading is another specific skill set, but is usually cheaper than the previous two mentioned. Palm readers are able to analyze a meaning corresponding with the lines of the palm. Depending on the time and depth of the reading, the prices can vary. For example, a quick palm reading could be around $10. An in-depth hour-long palm reading session can run up to $90 on average. Some people find in-person readings to be a personal, spiritual experience. Online and phone readings can be just as effective, and more convenient for people who feel anxious going to a psychic or do not live near services. You may be aware of phone readings from late night TV commercials. You can still get an accurate reading over the phone but should do your research to avoid scams and look for reliable sources. Payment for phone psychic services differs greatly from in-person. It is usually charged per minute, rather than per hour or 30-minute session. Costs can range from around $2 per minute to $10 a minute on average. 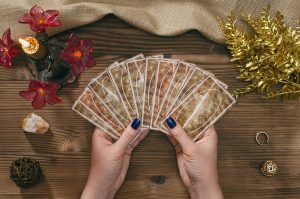 Similar to in-person readings, the cost variance is usually due to reputation and experience. Look for services that allow you a free trial period so you can verify it is a legitimate service in that time. The Internet has made it easier for psychics to reach a larger audience. There are a variety of ways online services can be delivered. It is based on your personal preference which route is best for you. Email: Some people offer a flat rate for an email reading. Email readings can be fairly expensive, ranging from $30-$100 dollars on average. The cost usually varies by how in-depth the reading is. Steeper costs usually amount to a lengthier reading. Make sure you research what sort of email readings a psychic provides before paying. Confirm that a $100 dollar reading goes beyond a few sentences. Text message and chat log: Text readings are perfect for those nervous to see a psychic in person. Websites offer live chat or text message services with prices based on how many questions you ask. A psychic text reading that answers one question may range anywhere from $20 to $30. Video chat: Video chat sessions over computer applications like Skype allow for a face-to-face experience without even having to leave your home. These are usually priced in a similar way to in-person sessions, ranging from as low as $30 an hour all the way to over $100 dollars. Even on a tight budget, you can find quality, trusted psychics for your needs. A higher cost does not always necessarily mean higher quality. Just make sure to do your research and think deeply about what you want out of the experience.